The Xavier platform can drive autonomous robots, and Turing tech is in AI chips for servers. 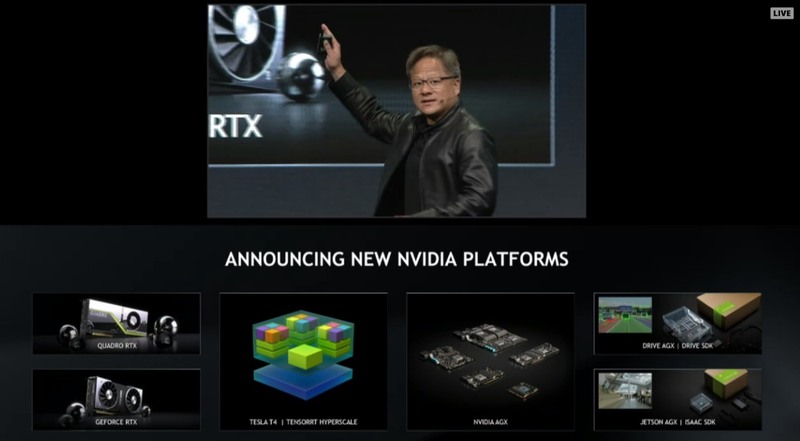 NVIDIA's graphics technology is useful for a lot more than just lining up pixels on gamer's monitors, and in a presentation at the GPU Technology Conference, CEO Jensen Huang revealed a few more layers of its plans. The Jetson AGX Xavier platform unveiled earlier this year for autonomy is rolling out, and now developers can order a Drive AGX Xavier devkit to test software for self-driving vehicles. Speaking of AGX, NVIDIA announced that several Japanese companies (FANUC, Komatsu, Musashi Seimitsu and Kawada Technologies) will integrate the Jetson technology into their autonomous robots. 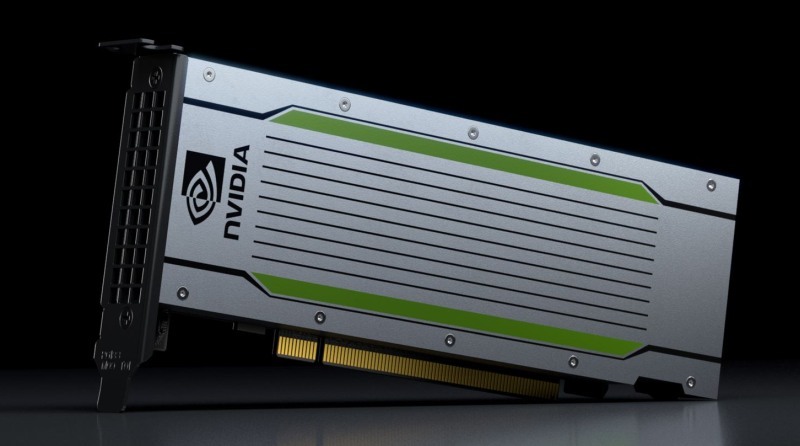 The company is also putting its latest Turing tech -- recently seen in ray-tracing ready 20-series GPUs for gaming desktops -- into its TensorRT Hyperscale Inference Platform based on new T4 GPUs. While the Quadro RTX workstation GPUs for developers feature up to 576 of its Tensor cores, the T4 packs 320 Turing Tensor Cores, 2,560 CUDA and 16GB of RAM cores into a small PCIe form factor ready to be packed into servers powering all of the cloud-type AI services that are so popular lately. NVIDIA's TensorRT software is the other part of the package driving "Intelligent Voice, Video, Image and Recommendation Services."